For our executives their goal is clear: to understand and anticipate the needs of our current and future clients in order to offer them simple and effective solutions. Through their combined experience and business know- how, our executives bring energy, innovation and technological expertise to drive DiliTrust further. 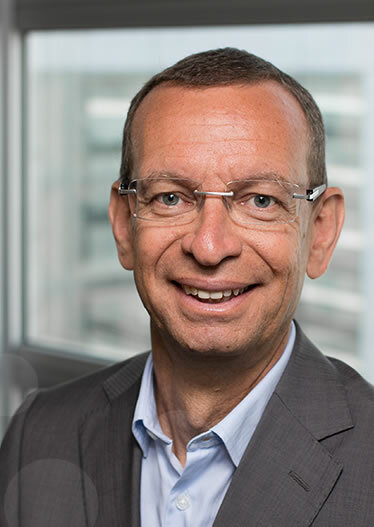 With more than 25 years of experience in entrepreneurship, business development strategy and software management publishing, Yves Garagnon brings a wealth of expertise as CEO of DiliTrust. He holds a master’s degree in Management and a master’s degree in DESS Banking & Finance. In 1987, he joined Concept, a publisher of management software packages, as a sales engineer. 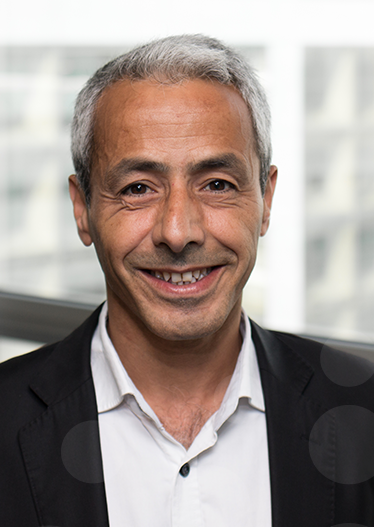 In 1993, he joined Coda, a financial software vendor, and developed their French subsidiary. 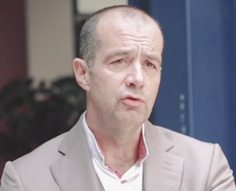 He then became commerical director and partner at Coda France. In 2003 he was named as director of DiliTrust (previously known as Equity), a subsidiary of Coda France. Since 2005, he has been one of DiliTrust’s key shareholders. 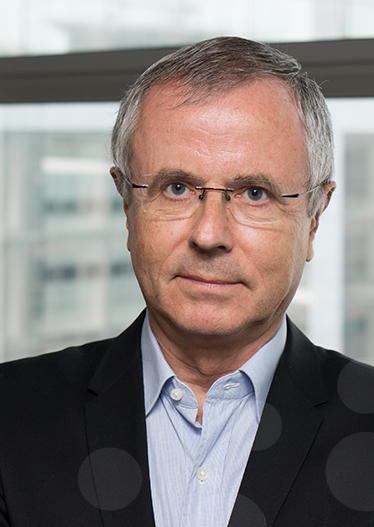 Pierre-Alain Lecointe is a graduate of ESSEC business school and holds a master’s degree in Private Law. 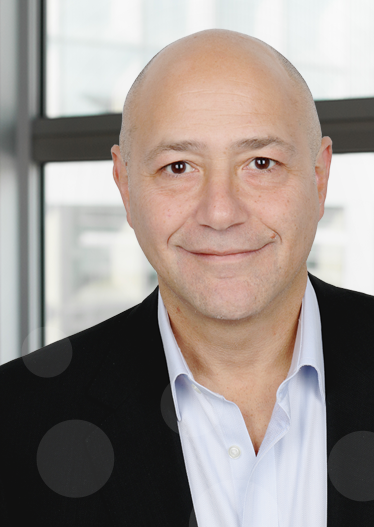 He has held commercial and senior management positions in major international software vendors: Dun & Bradstreet, Pansophic, Computer Associates and others. He was the general director of UNIT4 CODA France from 2008 to 2013. His 30 years of experience in the sale of software packages to major accounts gives him real expertise in business development. Nadim BAKLOUTI is an engineer graduate from Supelec (Paris) and holds a master’s degree in Industrial Management from Universidad Politécnica de Madrid, Spain. Very early on, he participated in various entrepreneurial projects in Central America, Spain and Canada. In 2010, he joined Leading Boards, a SaaS board portal for boards of directors, and headed the technical and architectural evolution of the solution. He was instrumental in ensuring its growth on the market. Certified Lead Auditor ISO 27001 and security expert, he is also in charge of all information security of the DiliTrust group and all its products. Triathlete and marathoner (with a personal best of 3:32), Nadim is also a wine lover and a level 3 graduate of the Wine and Spirits Education Trust. Aiman ​​Emeish has more than 20 years of experience in the DiliTrust Group, as head of our research and development department. He built and designed the software for our DiliTrust Governance solution. He has advanced DiliTrust Governance by tracking technological developments, from proprietary systems to today’s mobile devices. 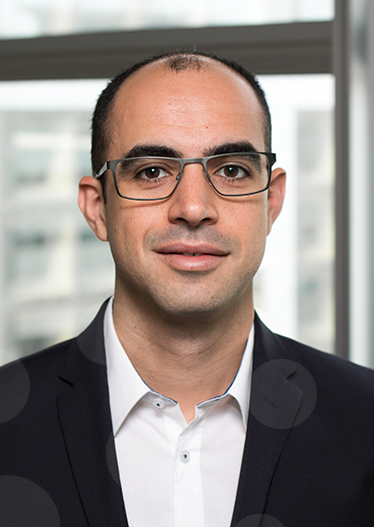 Gaetan Fron has co-founded several start-ups, operating in the distribution and protection of sensitive information, among them DiliTrust. Also in his portfolio are Companynews, a real time broadcasting platform for financial reporting of listed companies, and PubliAtis, a secure content production platform for newspapers, news agencies and governments. He has also held the positions of Marketing Director of the financial newspaper Agefi and Managing Director of Agefi Editions. He graduated from ESSCA Business School, is a certified ISO 27005 Risk Manager and a former auditor of the Institute for Higher National Defence Studies (IHEDN). 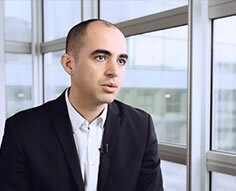 A graduate of the Ecole Supérieure de Commerce in Troyes with a master in Corporate Finance, Benoît Lefebvre has previously held financial analysis and consulting roles with major international IT players: ILOG and Business & Decision. 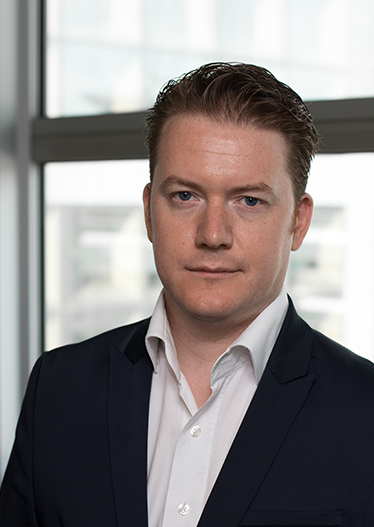 He joined DiliTrust in 2005 and his current role within the group focuses on consulting, pre-sales and sales, cementing real know-how knowledge about corporate governance software. Guillaume Loth Demay has 20 years of experience in capital investment in SMEs and in their support during the growth phase. As an investor, he worked for Siparex, then Natixis Private Equity and Développement & Partenariat, where he made over thirty investments. 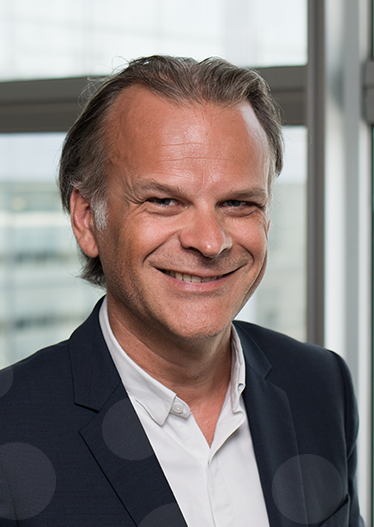 In 2014, he founded the partnership between DiliTrust and Opentrust/Docusign France. He is a graduate of the University of Paris I (Master of Management Sciences and DESS of Finance) and an executive program of the Insead (YMP-Paris and Singapore). 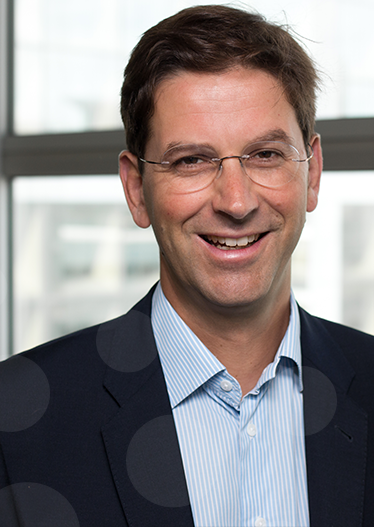 He is also Chairman of the Insead Business Angels Alumni France, Treasurer of Insead Alumni Association France and Treasurer of the Civil Protection of Paris Seine. James David has over 25 years of experience in sales leadership in the North American market. With a strong background in software and professional services, he was instrumental in leading major corporate sales and operations expansion efforts as Global Vice President of Sales in his previous role. James has firmly established his sales expertise, with his largest contracts averaging $2.5 million in professional services revenue and $2 million in software revenue. He has secured global contracts in many Fortune 50 and 500 corporations. They include: Pfizer Pharmaceuticals, Abbott Labs, Procter & Gamble, Dunlop Goodyear, L’Oréal, Honda of America, Phillips Electronics, Marsh McLennan (MMC), Ivanhoe Cambridge, Brooklyn Sports & Entertainment (Barclays Center), AEG and the Laurentian Bank. 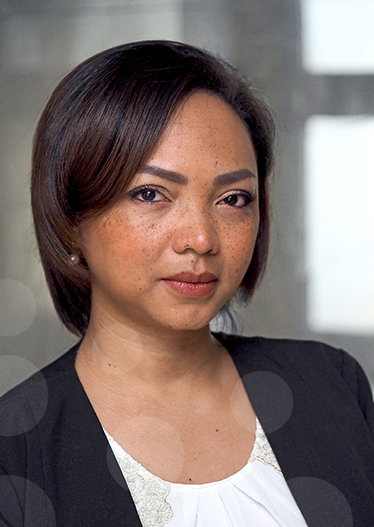 Tahiana Tissot is a graduate of Kedge Business School and holds a master’s degree in Marketing Strategy and Communication. She has over 15 years of experience in B2B Marketing, predominately in the IT industry. She began her career in the LCV Business Unit at Renault, where she managed sales methods and the communication of the group’s dealers network for commercial clients. In 2004, she joined the outsourcing division of T-Systems France, a subsidiary of the Deutsche Telekom group as Marketing Manager, before also assuming the responsibility in 2006 for the Marketing and External Communication of Systems Integration Division. She then held similar positions in software development companies such as Exact Software before joining DiliTrust in 2014.